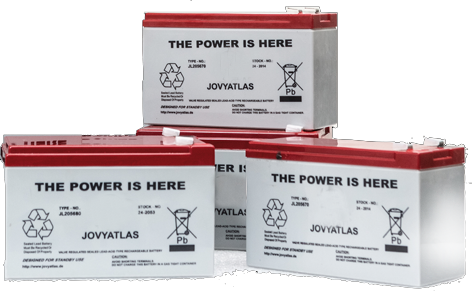 Wärtsilä JOVYBATT JL batteries are maintenance-free lead batteries of a mesh mat design AGM-technology. With the JL series, Wärtsilä JOVYATLAS offers a separate battery series consisting of the most common battery sizes associated with this type. According to EUROBAT, the JL series has a lifespan of 10-12 years. The batteries are subject to strict quality control. Since they are produced using state-of-the-art facilities, these batteries vary very little in their performance parameters and are especially suitable for UPS equipment applications.